Okay, this post is about seven weeks too late. But I’m happy to announce that one of my favorite music fiction authors has returned to action. Writer, blogger and self-proclaimed rock legend Nolan Whyte is back on Ultimate-Guitar.com with a new weekly series entitled “I Sing When You Shut Up.” Check out part one of the new saga here, and be sure to check back every Friday for additional chapters. First debuting on the popular music-instruction site back on February 17, the story (so far) focuses on the troubles and trials of music writer Nate and his attempts to interact professionally with both his ex-girlfriend (who now plays in a band) and his upstairs aging rock star neighbor Terry (who many Whyte fans will recognize from his role in the previous serial novel “Comeback Road”). While Whyte previously announced in January 2011 that he would be taking an extended hiatus from writing about music to focus on other projects, his break thankfully appears to be over. And judging from the wealth of positive reader reactions to his new work, the onset of fresh material couldn’t have come soon enough. “I Sing When You Shut Up” is after all the fourth complete novel Whyte has authored for Ultimate-Guitar.com, and many fans (this writer included) eagerly await the chapters to come. For more information on Nolan Whyte please visit his other blogs at www.frozensheetshockey.blogspot.com and www.endcity.blogspot.com. Several weeks ago, my review of the new Sharon Van Etten album Tramp was published in the Valley Advocate. While balanced, my take on the record ended on a slightly negative note by brashly hoping for happier times in Van Etten’s future so listeners wouldn’t again be forced to endure “45-plus minutes of someone else’s relationship blues.” Yet, even as I wrote those words and clicked submit, I had misgivings. Odder still, I couldn’t quite put my finger on why I felt the way I did. As a music critic, one often has to juggle personal taste against the challenge of describing a record’s sound to an audience (read this great 2009 column by Advocate writer James Heflin for a better taste of such a conundrum). Try as I might I am still not a hip-hop or rap fan. However, if faced with the newest release by Kanye West or Eminem, I like to think I would do my best to dissect the music I heard in a strictly professional manner. And perhaps that is exactly why my opinion of Tramp confounded me to my core. Van Etten’s music typically is branded under the large umbrella of indie rock, a genre I consider firmly in my wheelhouse. Also, I was very much a fan of the singer/ songwriter’s previous work Epic, which I even recommended to friends as “real music” and “full of spirit.” Then there was the simple fact that during her last stop in the Paradise City I was able to catch Van Etten live on stage. Though I attended the concert alone, I was moved by the experience and the sense of camaraderie that radiated between the band and the audience. So why then should I be so averse to this new album? The simple answer is disappointment. Having become such a big fan of her previous work, I was unprepared for the sound Van Etten chose now to employ, and frustrated by this change in direction, my critical eye became clouded. Or so I thought. Returning once again to Tramp over the past few days, I am still not won over. Even the more notable tracks like “Warsaw,” “Serpents” and “Leonard” do little to distinguish themselves from the pack. Instead, the whole record almost plays like one long suite of songs indifferent to changes in mood or style. There are climaxes here and there, but no immediate moments. If one is concerned with buying albums strictly for the hits or tunes to play over and over again, then this disc is just what I thought it was upon hearing it for the first time – a disappointment. Still, there are charms to be culled from Tramp’s languid beauty. As a meditation on the pains and joys of love or relationships in general, some might even call it a triumph. But not me. I will continue to be disappointed and confused. However, it’s not all bad. I still have plenty of more records to listen to tomorrow. 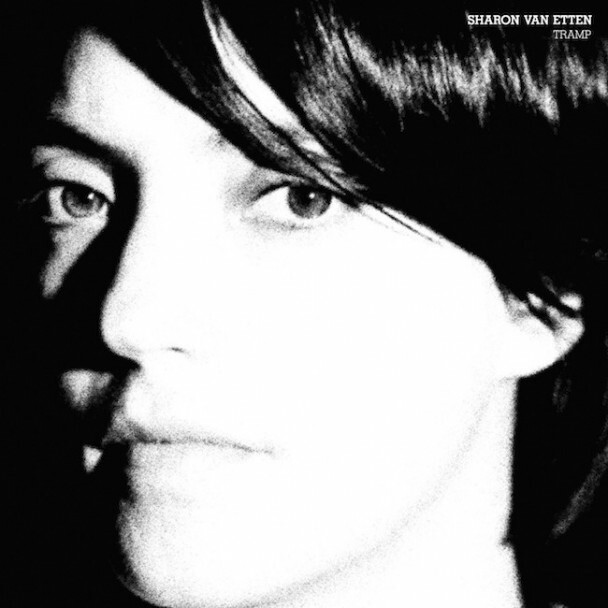 For more information on Sharon Van Etten or to see future show dates please visit www.sharonvanetten.com. His group Doug Ratner and the Watchmen had just finished performing the single “Bomb in the Backseat” from the band’s new record Lessons Well Learned as the first half of a scheduled two-song set on the program, and were warming up for the next number when suddenly the gathered musicians received some unexpected news. “There was a glimpse of one of the hosts getting something on her earpiece, sort of making a face and then saying when we were getting ready to play again, ‘Oh guys, we don’t have time for another song. Sorry about that,’” Ratner says. The reason for the abridged set was apparently WWLP’s negative reaction to its first half. You see, Doug Ratner and the Watchmen did more than just perform the song “Bomb in the Backseat” on “Mass Appeal.” The group punctuated the track by smashing a laptop live on air during one of the song’s instrumental sections. And that incident, coupled with station higher-up’s alleged interpretation of the song as negative in content and message, was more than enough to earn the erstwhile rockers a ban from ever returning to “Mass Appeal” in the future, or so the band claims. When reached for comment the supervisor for the “Mass Appeal” program professed ignorance of such a ban on Doug Ratner and the Watchmen actually being in place, but a quick perusal of the show’s website proves that all evidence of the band’s performance has been wiped clean. In fact, the only proof of the incident’s existence is a bootleg video on Doug Ratner’s YouTube page which shows the performance in its entirety. Oddly enough, the statement being illustrated by Doug Ratner and the Watchmen during their performance on “Mass Appeal” was a statement about the extremes to which society has become dependent on technology and the ramifications such an attachment could result in. While Ratner professes he is open to any communication from WWLP about returning to “Mass Appeal” one day, he maintains that it was never his intention to offend anyone in the first place. 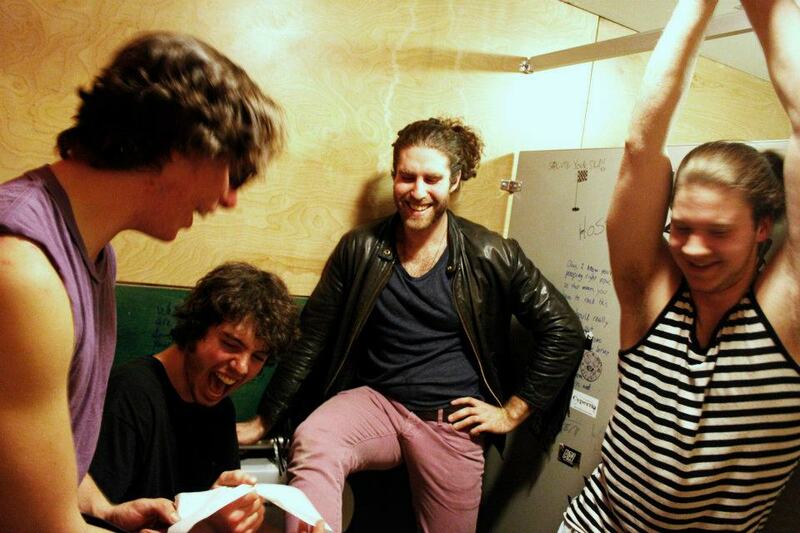 Remember: True rock ‘n’ roll never dies. And neither, seemingly, does the censorship of rock bands and musicians. To show your support for Doug Ratner and the Watchmen please visit the band’s Facebook page at www.facebook.com/dougratnerandthewatchmen and leave a comment. Also, if you wish to contact “Mass Appeal” or WWLP to voice your opinion on the situation please visit www.wwlp.com/subindex/mass_appeal for further information or email the station at reportit@wwlp.com. For more information on Doug Ratner and the Watchmen or to see future tour dates please visit www.facebook.com/dougratnerandthewatchmen.